How do you know if your eggs are fresh or bad? Eggs are like yogurt…you shrug your shoulders and trust the manufacturers expiration date. Whether your recipe is a heritage, classic or of your own invention, you need fresh eggs to achieve the desired result. 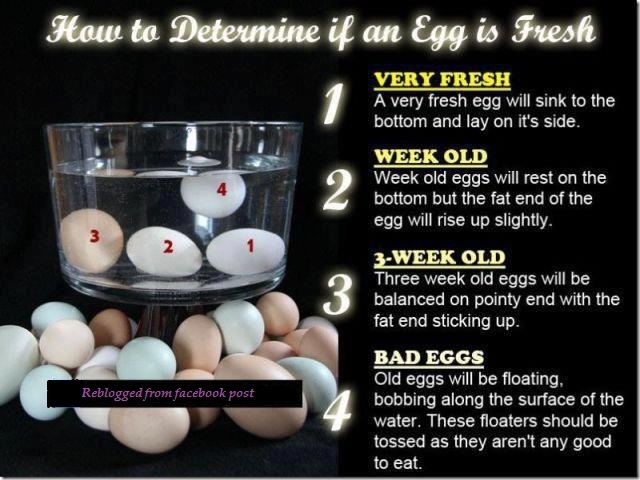 Here is an easy and accurate method to test if your “fresh” eggs are really fresh. When I did this to my newly purchased over priced name brand and within date eggs, they nearly all stood on end! Fresh? Nope, they went back to the store!